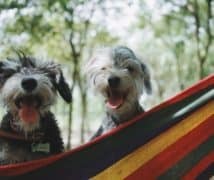 If you are on holidays in the States then you probably know that one of the most popular activities that you can take on is camping. It is one of those activities that are filled with adventure, excitement, and relaxation. You can go camping with friends or family and even on your own to enjoy the wonders of nature. Camping can be done by the beach, under the starry nights, or along the woods and even the prairies. The grounds depend on your preference and what you are seeking. The United States is home to some of the best camping grounds in the world but the options can be overwhelming. Today we are going to guide you through some of the best places you can go camping if you are in the States and want to experience this adventurous spot. When you are on holiday with friends or a number of people then you need to visit a place that offers a variety of activities to choose from because everyone has different ideas of entertainment and keeping everyone happy can be difficult. 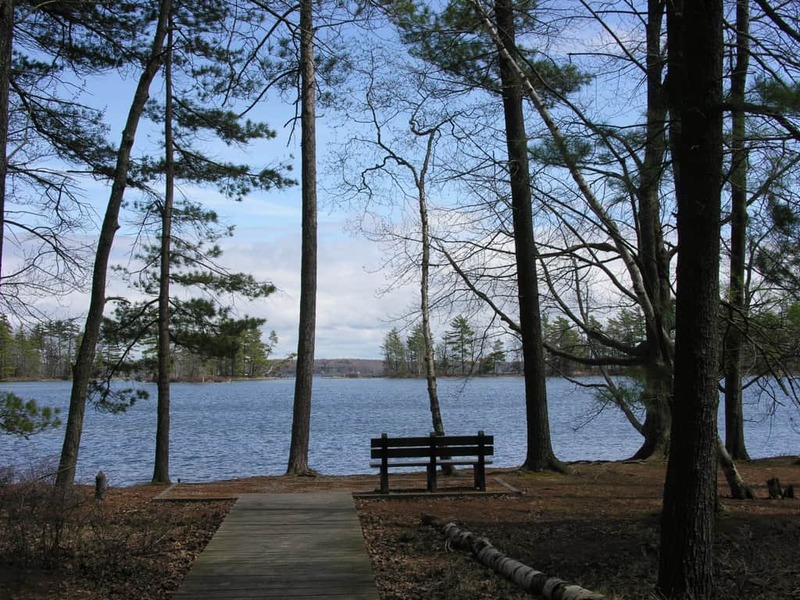 The Ludington State Park in Michigan offers diverse activities to choose from, starting with nature hikes through forests and marshlands, to swimming in the Lakes Michigan and Hamlin. You can enjoy long walks on the beach at night or rent out kayaks to explore the water bodies. Jet skiing is another activity you can try out if you enjoy the thrills of being dragged through the water while the sand dunes offer magnificent views. Seasonal and year-round accommodations are provided so you can visit any time of the year for an unforgettable experience. Good amount of diverse activities even in a moderately small region. 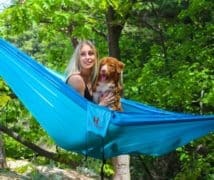 Great for camping with a large number of people as well as on your own. Bringing pets along can be restricted. 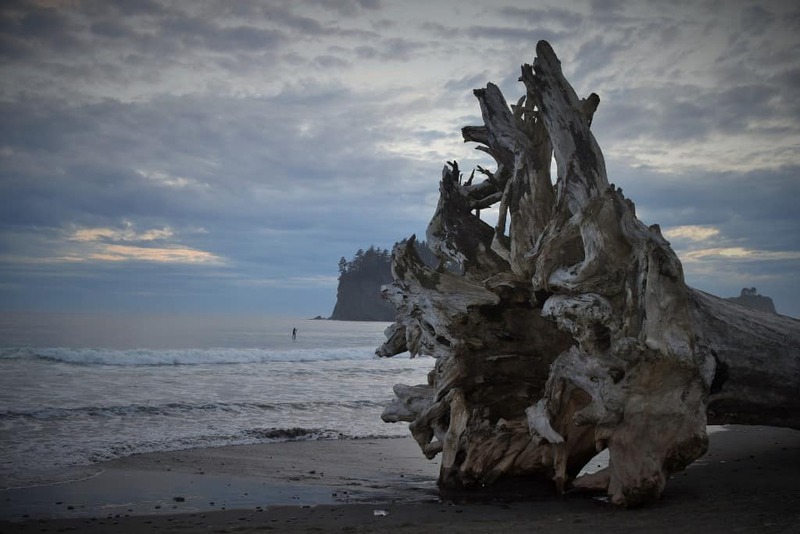 If rainforests and dense trees interest you then you then you should probably visit the Olympic National Park in Washington. The park covers an incredible million acres of land that beholds thousands of years of human history and over 70 miles of wild coastline. This campsite is for the adventurous and risk takers, seeking a fresh breath of nature for a change. 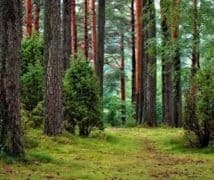 Consisting of three totally different ecological units, this camping ground is evergreen and has more than enough amounts of activities for anyone to enjoy. If you plan your trip right, you might just get an extraordinary chance to watch whales migrate during the right season. Along with camping, some of the other activities include boating, fishing, day hikes and backpacking. Wildlife at this park is extraordinary and you can spend hours in the wild. Whether you want to haul in an RV or in a tent or rent a cabin, you will probably find your preferred style of accommodation here. For an extra adventurous feel, you can even get a backcountry permit and even put up your own suspended tree tents in massive forest lands for just $5. How cool is that? 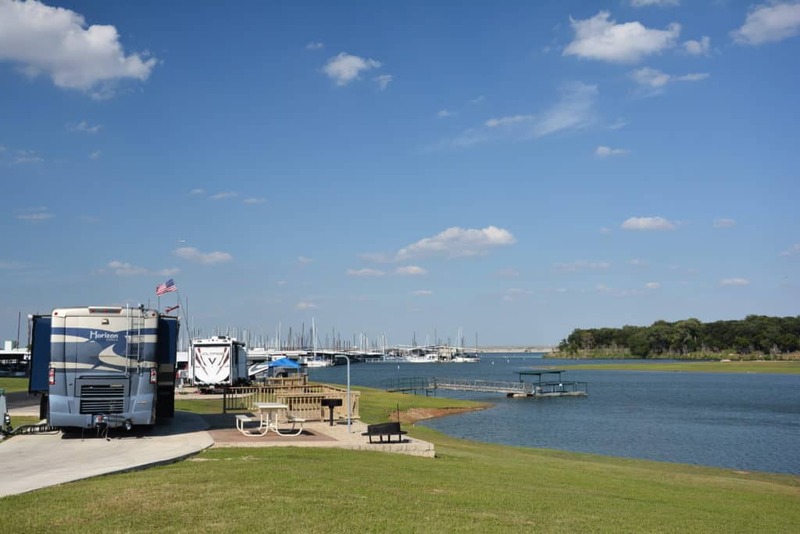 Variety of campgrounds and sites to visit with plenty activities to choose from. Showers are not available on the campgrounds. 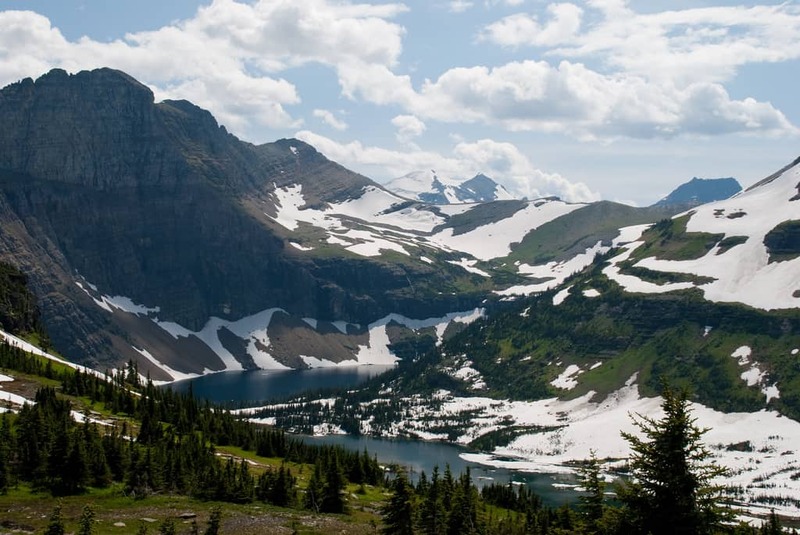 The Glacier National Park in Montana is a perfect place for those wanting to enjoy a bout of icy waterfalls, huge glaciers, and beautiful green valleys. Through mountain driving, you can witness magnificent views of forests and glaciers alike. Go river rafting or take a walk by the hills covered in gorgeous flowers, or just take a break and look out for mountain goats and grizzly bears. 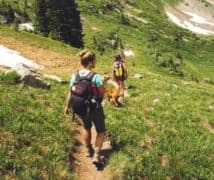 With more than a thousand camping spots and a variety of backcountry accesses, it also has beautiful hiking trails trailing up to 700 miles! A huge amount of camping spots and backcountry passes, allowing a more personal and private experience. The wildlife can be threatening for some visitors if not careful. Requires some awareness of the risks of wildlife. This place is for those seeking a bit of a challenge and less relaxation. 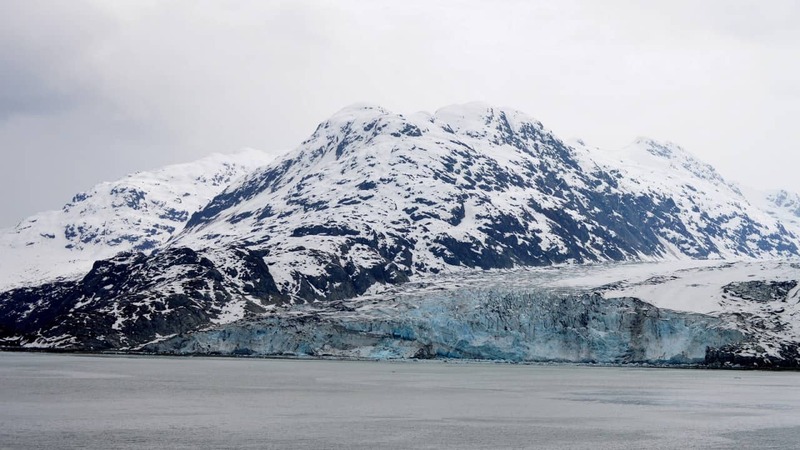 If you want to test your ability to take on unmarked trails and the unknown then visit Alaska’s Glacier Bay, National Park. You can hike the glacier and go rafting as long as you are sure of what you are doing. The crystal clear lakes and the ice ridges that melt away into the water offer unexplainable thrills. Glacier Bay is home to a number of bears, wolves, deer and mountain goats so along with the spin chilling activities, you can also view some amazing wildlife. If you want to get a bit of an adrenaline rush then this site is the playground for adventure. Not ideal for camping with small children. If a natural health spa is what you’re looking for but still want to experience camping, then why not visit the Hot Springs National Park in Arkansas? This place puts a halt to the idea of camping being all about hiking and extreme physical pressure. The Hot Springs of Arkansas offer a natural spa treatment, that too out in the splendor of nature. 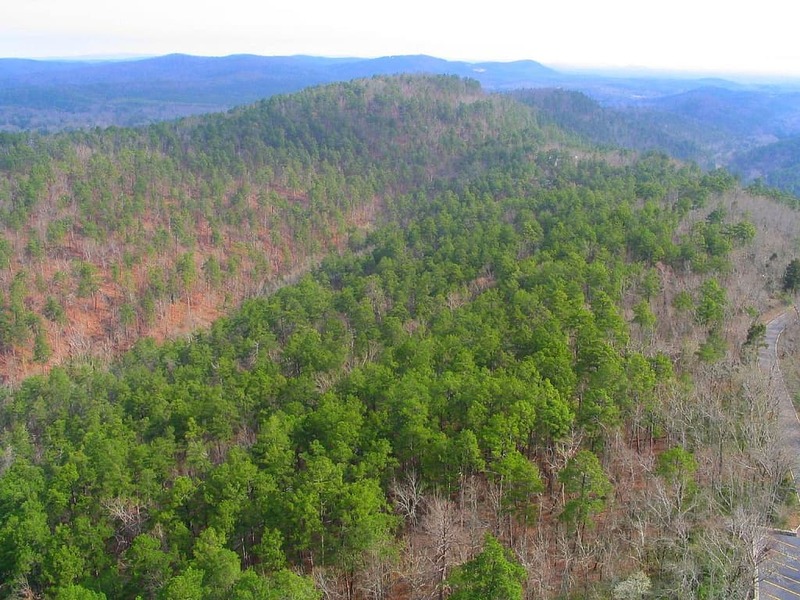 You can set up a camp nearby and just allow yourself to immerse in the natural tubs along the Ouachita Mountains. Camping on this site will provide you with an experience of calm nature and its beautiful effect on your well being. This place is suitable for those who enjoy fishing and want it to be a part of their camping experience. The place is packed with fresh Maine lobster which can be rewarding if you love fish and the sport of fishing. Other than fishing you can also head out into the waves to swim or go for boating to enjoy the lovely water bodies. The mountains are great for climbers seeking a more physical activity. Alongside these, you can also hike deep into the woods and camp there in all privacy. Acadia provides a wonderful camping experience with complete relaxation and ensures you and your loved ones spend quality time together. Plenty of fresh Maine lobster to catch and cook. If eagles and blue herons soaring over a lake on a beautiful sunny day seem like a dream to you then make it come true by visiting the Fool Hollow Lake in Arizona. This place is very popular among tourists who visit to witness the extraordinary scenario and take a breath of fresh natural air. With water body 6,300 feet above sea level, the Fool Hollow Lake provides visitors with striking visuals and calming boat rides. Set up your camp and then move on to hiking, climbing, strolling or just laze around under the tepid sun. The campsite is accessible all year around. During camping season, the site tends to get overcrowded with tourists. Camping doesn’t always have to be out in the wilderness or far away from town. Just a short drive away from Dallas Airport, you can find and rent a small cabin that is not only cozy and comfortable but also lets you stay connected to the world with their WiFi. You can camp in alone or with your friends and family. Beside the shores of Grapevine lake, there’s a profuse amount of wineries and festivals arranged by the locals for you to take part in and enjoy. This campground includes a bathhouse, restrooms, pavilions, cooking area, trails, etc alongside modern though minimalist camping experiences. The park is set 2,000 feet above sea level and is bordered by rocky terrains for any adrenaline junkie to pursue. 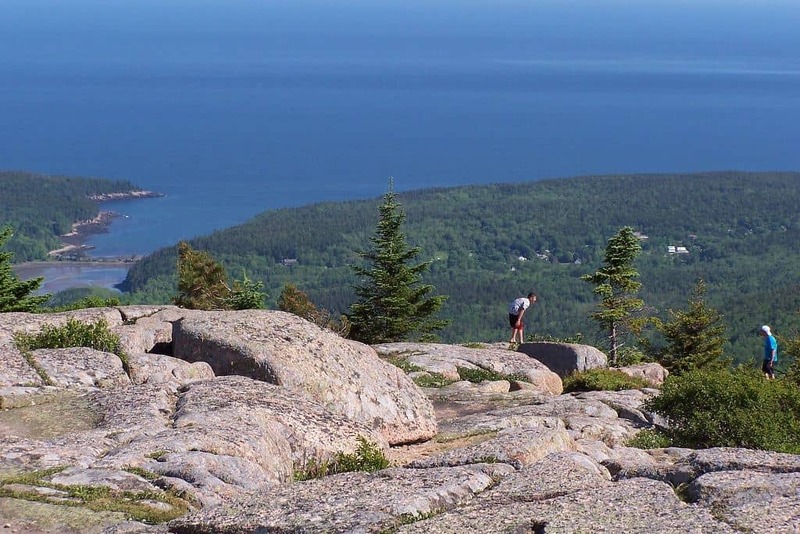 With 35 miles of carriage roads plus 50 miles of footpaths for bicyclists, you can bike, hike, or just enjoy the opaque forests and cliffs and ledges that surround the entire park and deliver a spectacular sight. You can also do some horseback riding, or if you’re experienced enough, try technical rock climbing. This site has a lot to offer if you visit during the right season and under good weather. So reserve a spot will be recommended in between May through mid- November. A range of activities to choose from. Without early reservation, finding an appropriate spot can be quite difficult as best camping facilities are mostly provided during the busy season. With almost little to no cars, roads, or buildings in sight, this is the perfect place for a getaway from the hectic life of the city. Hiking up to the Glacier Point and allow yourself to look over the popular Yosemite Valley, Half Dome and also the High Sierra peaks. With a dozen or so of amazing campgrounds, it is recommendable to reserve ahead of time in order to score a backcountry pass as well. You won’t regret it. Campgrounds may vary by season but the site is open year round. No option for communication in miles, not even electricity. So it’s wise to come prepared. Get this, you’ll be surrounded and standing next to gigantic and majestic Sequoia trees. Not only do these trees feel totally out worldly and epic, but it’ll make you imagine you’re inside some fictional movie or you’ve time-machined yourself back into some ancient era of kings, just as the name of this place suggests. Hiking through these woods is a completely exceptional experience. Almost like walking beside giants. Only that they’re made out of trees. You can also set up camp in a private area if you’ve reserved beforehand. Accessible all year round, but busy months are July and August. Can get extremely crowded during seasonal rush. Nothing screams adventure like hanging out in a sleeping volcano. Yep, you heard us right. 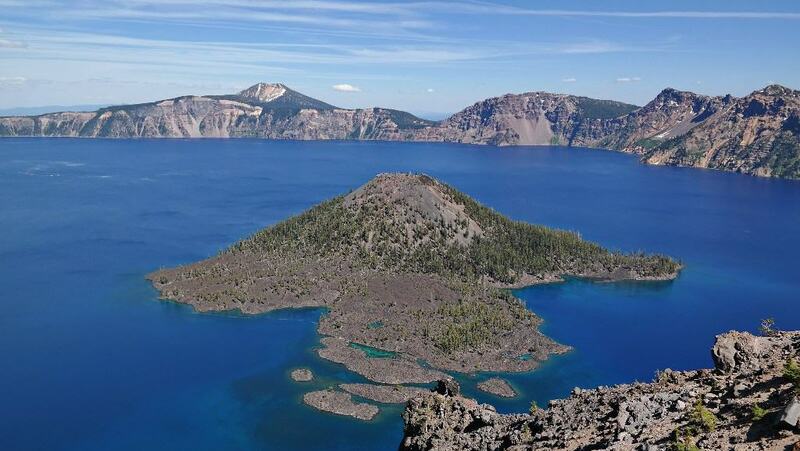 At 1,943 feet, you will be able to swim in the deepest lake in the United States of America. If that doesn’t encourage you enough, did we mention how it’s also famous to be the cleanest and clearest water bodies in the U.S? You can backcountry camp after you’ve collected a pass for it too. You have options on where you would prefer to camp, between Mazama and Lost Creek. 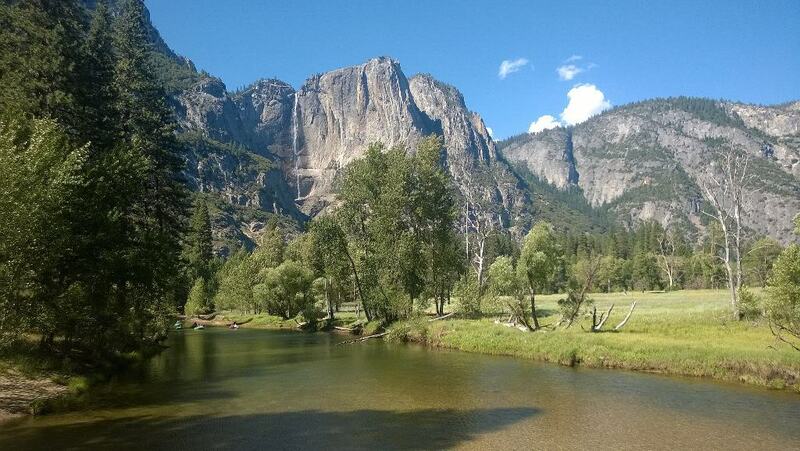 But both are equally incredible camping grounds. An extraordinary experience of hanging out in a volcano, worth bragging about all the time to everyone really. There’s no better alternative than choosing to stargaze a bright sky with millions of twinkling lights, that too on top of a 10,023-foot dormant volcano with picture-perfect landscapes. Tempted yet? We certainly are. 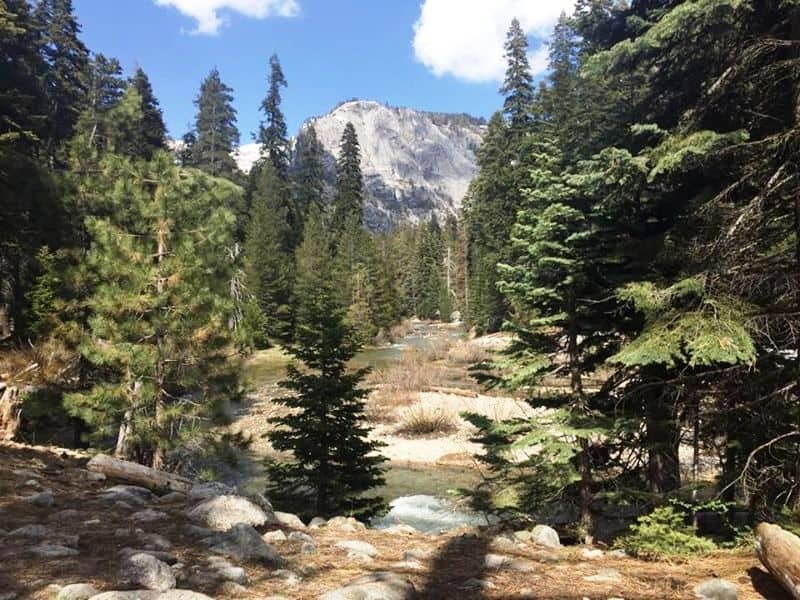 The Summit area offers both a drive –up and fantastic Wilderness area which provides camping out options and cabin rentals as well, depending on your reservations. The weather can be quite severe at times, but the site is open all year long. An abundance of free space to camp in with lots of privacy. Severe weather conditions at times. 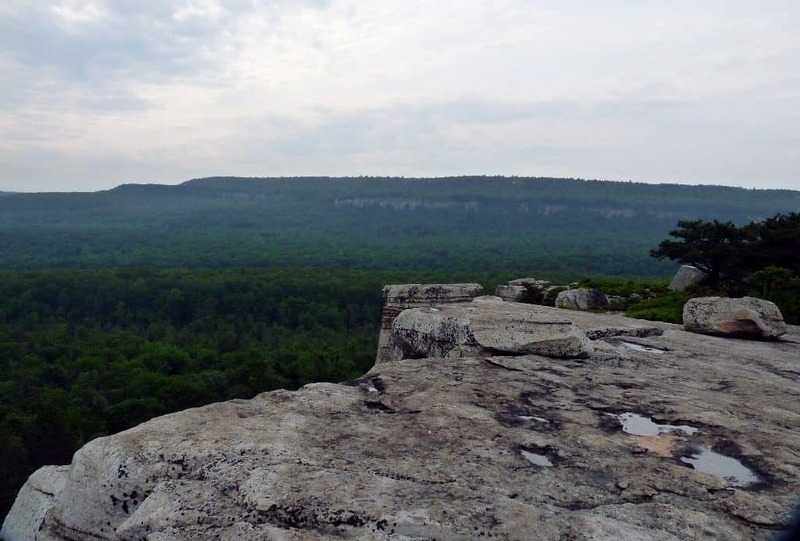 A breathtaking view of the sky with enormous sandstone cliffs and a variety of animals and plants, this campground has an extraordinary feel to it. And anyone visiting it is sure to feel just as awestruck like us. When traveling in summer, The Subway –a distinctive tunnel can be explored with only $5. 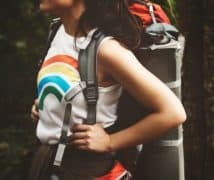 Its open year round but it’s wise to reserve three months beforehand for backpacking trips. Wilderness permits are also necessary for backpackers. Remote area ensures absolute relaxation. Campgrounds can get very full at nights, so reserving is recommended. We hope our list of the best places to camp in the united states is of help to you to choose your perfect campsite. Adventure awaits!! Thank you for having taken your time to provide me with your valuable feedback relating to your Visit on my blog. Your helpful comments are much appreciated, and your feedback will help me to continually improve the standard of my blog.